a TV Pilot based on our production on bullying! TIGER Takes On Bullying! is a lively, music-filled 30-minute special that helps elementary school kids learn how to deal with bullying in school, online and socially. It’s a co-production of NHPTV and Plymouth State University’s TIGER (Theater Integrating Guidance, Education, and Responsibility) program. By using children’s own words, TIGER Takes On Bullying! depicts their real experiences of bullying and intolerance, and shows how to move to more positive social interactions at school and in the community. The program aims to help students resolve bullying behaviors, and also to guide those who witness bullying behavior and don’t know what to do. And, NHPTV is developing a special website and resources for teachers, students and families to help avoid and overcome bullying. Scenes for the show were filmed at Plymouth Elementary School using 25 children along with the TIGER troupe of actors, as well as at the NHPTV Broadcast Center in Durham. 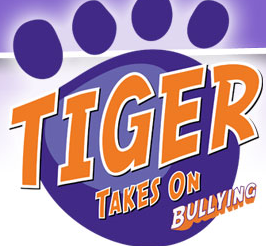 In August 2013, TIGER TAKES ON BULLYING won a bronze award in the children’s programming category in the 34th Annual Telly Awards. More than 12,000 entries from all 50 states were submitted; entries do not compete against one another, but are judged on their own merit by industry professionals. 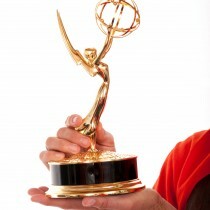 In June 2013, TIGER TAKES ON BULLYING won an EMMY through the Boston/New England Academy of Television Arts and Sciences for best produced “Children/Youth Program.” Check out this link for details: www.plymouth.edu/news/psu-tiger-program-roars-to-an-emmy-win/!